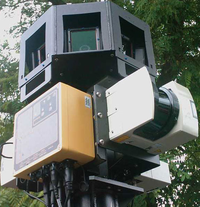 Link: Google Street View cameraman: No photos of me, please. Reader Andy Norcross sent me this article about a citizen turning tables on a Google StreetView photographer going down his street. Apparently, the Google employee wasn't amused. I guess privacy depends upon whose ox is being gored. Thanks, Andy, for the heads up. BTW, this photo is of the camera, not the cameraman. Link: Law Librarian Blog: Big Screen Kindle Aiming for $5.5 Billion Textbook Market. When I blogged last week about the Kindle aiming at the textbook market, I opined that the legal market might be next. Law Librarian, Joe Hodnicki, agrees. He thinks the coming 8 1/2 by 11 Kindle might be the impetus for the law book publishers to publish Ebook versions of their texts. There is no question that Ebooks are the future. Carrying a law library on a sheet of electronic paper? Not so science fiction anymore. Link: Photos: Microsoft's computer in the round | CNET News.com. Microsoft, that technology innovator (okay, maybe sometimes) is demonstrating its touch interface on a computer that looks like an oversized beach ball. Other than the novelty, it is hard to see this technology in the home. For grabbing attention in public locations, however, it might be an attraction. It could be the centerpiece of a Courthouse waiting area, with touch screen information and video about the ongoing stuff in the Courthouse. It might work at an airport or train station. Surface computing works better in flat mode; but, this sphere is really cool looking. Some of the lessons learned from Randy Pausch seem important today. Laugh more, love more, learn more, be yourself more, don't avoid obstacles - break through them. 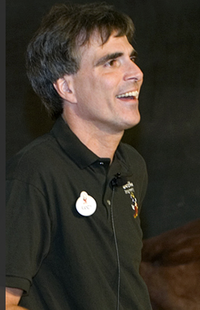 Randy Pausch died yesterday. Everyone should spend an hour watching his "last lecture". Take what you learn from it, and give the lessons to your kids. If they are old enough, show it to them. Link: Featured Windows Download: Double Driver Backs Up Your System's Drivers. One of the most annoying things about a clean install of Windows is the necessity to reproduce all of the peripheral drivers that have been downloaded and installed over time. I keep several ghost image backups on a USB external hard drive, which, in an ideal world, insulates me from the problem. A restored ghost image of a drive will still have all the drivers intact. However, in an abundance of caution, Double Driver permits the backup and storage of just the drivers, in case a clean Windows install becomes necessary or desirable. The software is free for download; but the author requests a donation if you use it. Link: Law Technology Today :: July 2008 :: Litigation 'Software as a Service' (SaaS) Arrives. the July issue of LawTechnology Today includes an article on emerging Software As A Service (SaaS) applications for law firms. Gene Albert of Lexbe, a litigation support SaaS provider, is the author. Gene does a great job outlining all of the issues that lawyers should consider before taking the leap to web based software solutions. 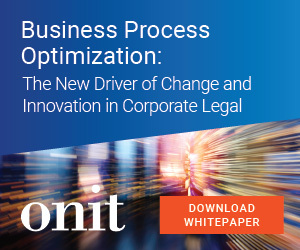 Other SaaS providers such as RocketMatter, are contributing to the dialogue, which can only be helpful to attorneys who desire a cost-effective way to produce work product, and who want to know what the risk-benefit analysis requires them to consider. Data security, Client confidentiality, service level agreements, local data storage, all are issues that I want to be certain about before I choose a service. 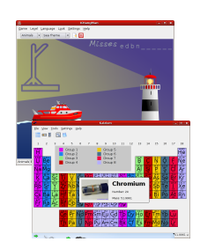 Link: Edubuntu Home Page | edubuntu. 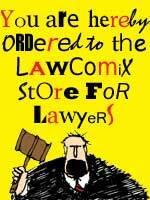 As my readers know, I use Windows because many legal specific software applications require it. My true love, however, is Ubuntu Linux, which is completely free and open source. She Who Must Be Obeyed is setting up a computer lab at her school, and education, security, and cost are all important factors. So, I am downloading the Educational package add-on for Ubuntu, and will be installing Ubuntu with it on all the school computers. This software is spreading over the entire world, and brings the security of Linux, educational software without parallel, and free and open source computing, to students and teachers everywhere. Losing a few billable hours today - $2,000. Spending time installing Ubuntu Linux at my kids' school - priceless. Link: Legal Pad: Second Life: Get CLE Credit in Your Underwear. I might need to take another look at Second Life, the virtual world on the Internet in which avatars represent people, and which is aimed at businesses. Geri Kahn reports the first CLE programs to be conducted virtually in Second Life. She is connected with the SL Bar Association, a Second Life group of lawyers who are using Second Life to conduct virtual law practices. The new location based Second Life might answer my previous objections that it was too hard to buy property and build in the virtual space. In the meantime, you might want to go to Second Life and see what all the fuss is about.